Joyce Elkus and Zac Greenberg co-founded Musicians for Health in 2012 to explore therapeutic music and help cure disease through awareness, fundraising and sound. Since its founding in 2015 Musicians for Health has raised over $150,000 for cancer research. The organization has active work in facilities including New York, Ohio, Colorado and China. View the website – Musicians For Health. Greenberg composed a four movement piece titled “Unexpected Journey,” which interprets cancer in four stages: Life, Diagnosis, Treatment and Beyond. Greenberg recorded “Unexpected Journey” live at The Redmoor in Mt. Lookout during a fundraiser for the UC Health Barrett Cancer Center at the University of Cincinnati. 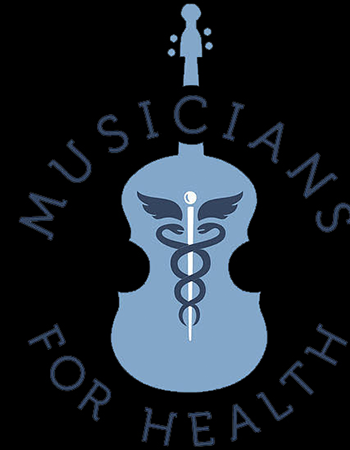 Musicians for Health also focuses on the development of music for individual patients of all ages and illnesses through “Healing Sounds,” a discussion between top professionals in the music and medical fields about sustainability and accessibility for music therapy to medical patients. ​Greenberg began Healing Sounds in 2016. Healing Sounds will bring therapeutic music to various settings from hospitals to health care facilities. Zac has spoken multiple times at The Music & Medicine Conference in Cincinnati as well as Tedx and the Queens City Club on therapeutic sound and art. Zac’s “Healing Sounds” is being played in the meditation room of Ronald McDonald House in Cincinnati, as well as the New York Hope Cancer Center. Currently Musicians for Health is collaborating with Peaceful Places to build an immersive VR experience for patents.